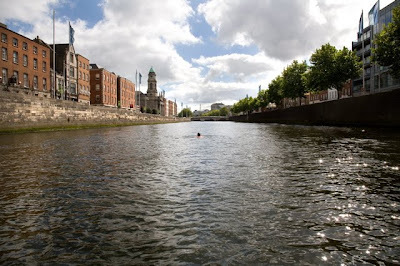 I worked on a project in 2007 about swimming in the Liffey which flows through the centre of Dublin. The river, despite it's neglect and lack of current prominence, still resonates enormously in it's role as the beating heart of the city. 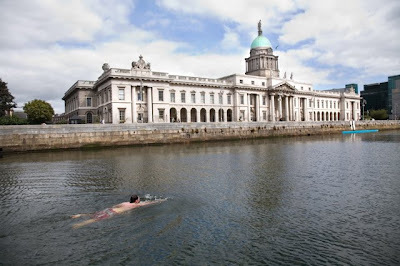 I swam a 3 km stretch right through the city centre in an attempt to bond with an adopted homeplace. 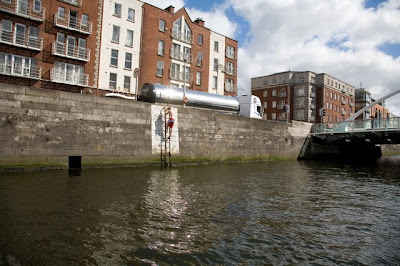 I presented a video and a series of photographs of the performance at Castletown House, outside Dublin.